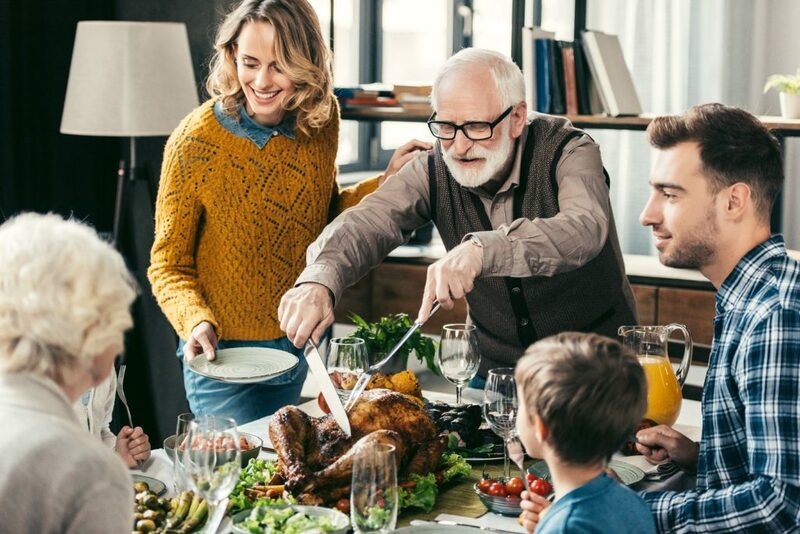 Thanksgiving may be one of the most exciting times of the year, but hosting can be stressful and challenging under any circumstance. With preparation and a few clever tricks, however, Sycamore Terrace Apartments in Temecula can become the perfect venue to throw a successful Thanksgiving party everyone will enjoy! Use the limited space to your advantage. With limited square footage at your disposal, you need a lot of creativity when it comes to hosting a holiday gathering. For example, bring in an extra folding table for more seating. Just cover it with a simple cloth, scatter a few decorations, and voila! You’re now ready for some wine tasting and a dinner party at your home.Another great idea is to designate several hors-d’oeuvres and beverage station around your apartment. Guests won’t have to squeeze past each other for a bite, and they can socialize and make conversation easily. Got an extra room? Consider moving the furniture to clear a space for dancing, playing games, and other fun activities for everyone. Ask help from your neighbors. The beauty of living in Sycamore Terrace Apartments in Temecula, CA is that you become part of a close-knit community. Your neighbors are an excellent resource if you need something for your Thanksgiving bash.Need a few more plates or chairs? Chances are, your neighbors will be more than happy to lend you some. In return, you can give them some baked goods and other treats for their generosity. Here’s a secret— you don’t have to do everything by yourself! One of the hardest tasks for Thanksgiving is preparing all the food, and you might not have enough space or time to pull it off.To save money and time, ask your family and friends to contribute to the feast. Turkey duty can be assigned to someone with a big oven. If your mom loves whipping up desserts, ask her to make the pies and other sweets. Get a few friends to take care of side dishes.A potluck will save you a lot of stress, and it’s also a fantastic way to foster the spirit of sharing and make the party a real team effort. Unless you only want adults in your party, the chances are there will be a few kids in attendance. Unlike grown-ups, kids don’t have the patience to sit around just talking and nursing a glass of wine.To prevent them from getting frustrated and bored, make use of amenities in Temecula apartments. Here at Sycamore Terrace Apartments, we have a lovely pool, playground, plus basketball, tennis, and volleyball courts to keep older children occupied. For the little ones, an arts and crafts table will be a great distraction. Don’t forget the most important tip: Make sure to have fun! Thanksgiving is the season to appreciate what you have and share the joy with the people you love the most. Keep your cool, prepare as much as you can, and don’t let the snags drag you down. Because we want you to have the best Thanksgiving ever, Sycamore Terrace Apartments is giving away a $50 gift card to our local grocery store to one lucky resident! How’s that for a Happy Thanksgiving? Stay tuned for more details!